Huawei's newest ventures - the P30 and P30 Pro - are now officially available to buy in the UK. If you've been holding out during the pre-order stage for the phones to hit the market and fill the virtual (and physical) shelves, we are here now to tell you what the definitive best deals on both devices are. Whether you want a surprisingly cheap and feature packed Huawei P30 deal - which you can now actually get on contract for less than you'd pay to buy the phone outright! 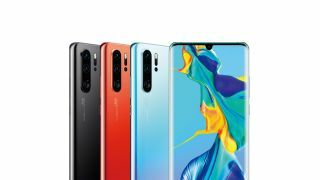 - or want to upgrade to a Huawei P30 Pro deal, with its colossal specs, competition-beating camera and slightly costlier price point, we've picked out the best three deals on each device. If the deal that wins you over is from Mobiles.co.uk then there's an added incentive. Buying either device from the retailer will automatically enter you into a competition to win an £1000 Curry's PC world voucher, adding to these brilliant deals. You can find the best these two phones have to offer down below or if you're not entirely sure if a Huawei is for you, check out our guide to the best mobile phone deals available right now.